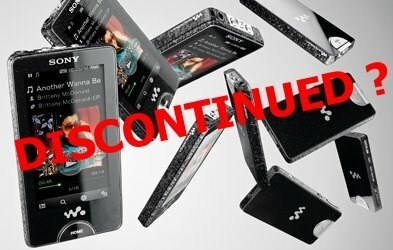 Home / rumour / X-Series / Sony X-Series being discontinued? Rumour has it that the X-Series is being discontinued with no new stock being available any more. Could this mean a replacement for the X-Series is imminent? This may not be the case, since Sony may just be axing the X-Series and leaving the high-end mp3 segment all together. But this does not sound like a move from Sony, who is meant to be in the high-end segment. Facts after the break. Supposedly people have been told by store reps that they are not meant to receive any more X-Series units and the remaining stock is the last that they will have. JR.com has both the 16 and 32GB versions on back order, while SonyStyle Canada has the 32GB version no sooner than available April 26th. The SonyStyle US site has the X-Series in stock, as does Amazon.com. The German Sony website has no regular X-Series in stock anymore but only some special edition at 16GB. Michalsky Edition priced at 499 Euros, one would have to be a fan of Michael Michalsky to drop 500 euros on a 16GB player which is almost a year old. Apparently this special edition was introduced back in Summer of 2009 and was/is only available in Germany. It remains to be seen if Sony Europe will introduce any new models before the Summer, perhaps only higher capacity A-Series models but any new models might appear in early September if any are planned. I am myself waiting for something new, since as tempting as the new A-Series is, 16GB just does not suffice for me. If you see any discounted X-Series models at stores do post a comment, since it might mean the X’s run is over. I'm from peru and I have the X-series walkman but the price still remains at 1200 soles (428 dollars), personally I hope to lower its price, but according to my Walkman product manager x-series will not return to peru. See my page on Facebook and check my photos with my Sony clothes.